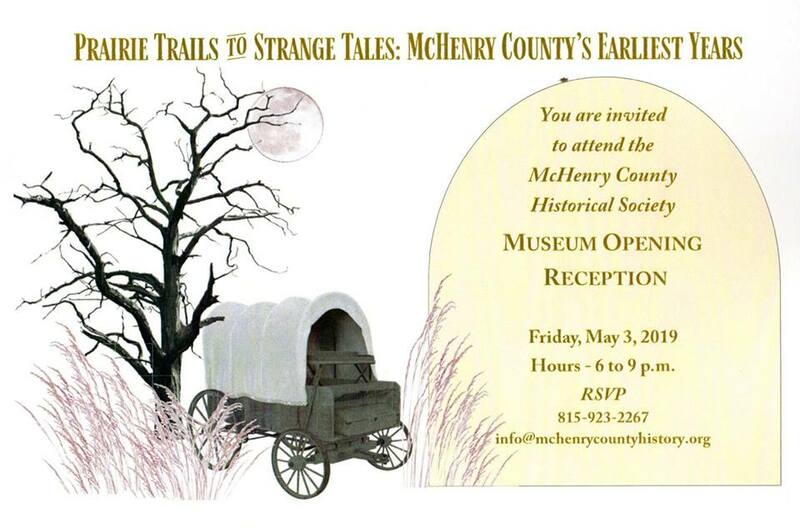 Discover the stories of McHenry County’s lost pioneer towns in the new exhibit, “Prairie Trails to Strange Tales: McHenry County’s Earliest Years, unveiling Friday, May 3rd. Museum Opening Reception: from 6 – 9 p.m., 6422 Main St., in Union. Join us for the dedication of the new exhibit area made possible by The Norma & Glenn Anderson Bequest. Ribbon Cutting at 6:15 p.m.
Beer Tasting Package: $20 includes 6 tasting tickets & Special MCHS exhibit logo beer glass. Tickets can be purchased at the door. Brewnanza Raffle Basket Drawing: 8:30 p.m.